Aztec architecture was simple and elegant, bold and powerful, and it mixed colours and symbols that helped created a unique style. The powerful and dominant temples were of course the masterpieces of the Aztec empire but there is much more to Aztec architecture than just these mighty temples. There were three groups of Aztec’s were the Mexica, Acolhua, and Tepanecs that together formed the triple alliance of the Aztec empire. The two capitals Tenochtitlan (Mexica) and Texcoco (Acolhua) formed the Valley of Mexico. Tenochtitlan was the main Aztec city, which was actually built on top of another city Teotihuacan. Tenochtitlan which roughly means ‘place of those who have the road of the gods’ was built around the 14th up to the 16th Century. At that time, it was the third largest city in the world with a population that grew to around 200,000 people. This was the Aztec’s capital city which was built around the hustle and bustle of the centre, their public plaza. The plaza was then surrounded by temples, shrines and pyramids as you move out from the centre, and then further out scattered in the outskirts were the Aztec homes, their ball courts, and their garden and farming land. Aztec architecture relied heavily on cosmology, astronomy and religion, their massive cities reflected their beliefs and it’s an important key in understanding their history and culture, and how this affect their buildings and constructions. Of course, as we mentioned earlier the most dominant pieces of architecture are the temples of the Aztecs. These temples perfectly represent how the Aztecs architecture is powered by their desire to sacrifice to their gods and their religion and beliefs. The Aztecs used primitive tools like stones, chisels and blades for their construction, rudimentary tools by modern standards, but it didn’t hold the Aztecs back. They focused on building strong foundations since the soil on their ground was susceptible to sinking due to the warm and often damp climate. The Aztecs used a colorful and easy to cut volcanic stone called tezontle to form the base of their constructions. The Aztecs additionally used local stone materials like rubble and limestone that were found in the area, and these were often traded as well. Aztecs mostly carved their stones for decorations, giving their buildings and materials a unique look that added texture and visual punch to their buildings. The carvings were naive for the most part with a very two dimensional quality They also were also keen on local wood materials and used pine and oak wood from the forests for their beams and doors. Aztec architecture was full of symbols as we mentioned earlier, the Aztecs used symbols to add decoration, style and incorporate their beliefs into their architecture. Here are some of the figures that were commonly used in Aztec buildings and architecture and what they represent. Some of the most powerful and iconic Aztec architecture is of course the striking Aztec temples. The temples in Mesoamerican and in particular with the Aztecs were seen as a way to get closer to the gods. The Aztec people built temples and pyramids in numbers, from the largest temple, the Templo Mayor to the Sun and Moon Pyramids which still stand proud today. These Aztec pyramids and temples always had double staircases that faced west towards the sun. The temples share similarities with the Egyptian pyramids but unlike Egyptian pyramids, the tops of the Aztec temples were flat. On top here would be a block made for sacrifices and there would be idols representing the god to whom the temple was built for, skilfully carved too. Inside these majestic Aztec temples, the walls were decorated with paint and statues. Their staircases comprised of 13 steps which had astronomical influence. At the end of these staircases were dragon like figures called stone serpents heads. They were commonly thought to have been built to ward off evil spirits. There would also be a highly revered eagle, the nahual of Huitzilopochtli-Tonatiuh. These are common in most of the Aztec temples and can be seen at Tepoztlan temple, the temple of the Feathered Serpent in Xochicalco, the round temple of Cempoala, and the temple of Ehecatl in Calixtlahuaca. Similarly shrines were built by the Aztecs and sometimes dedicated to a specific God. These were places of worship or a place for offerings. The shrines found honoured the Sun god, the Eagle and the Jaguar. The emperor and ruler of the Aztecs would have a very large palace. It had a very large courtyard and had two stories. Gold panels, paintings and carvings cover the walls. There would be numerous rooms, each dedicated to a specific use. A large staircase is located in the centre of the grand home. Reception area where the King entertained guests. The emperor’s room which would the largest and most extravagant room. Meeting room where the throne is located. Tlachco – Ball courts were L shaped. It is the location for ballgames which is the Aztecs main sport called tlachtli or ullamaliztli This was popular back in the Mesoamerican era but is still played today in some parts of Mexico. The Ball courts were usually located beside the shrine for Huitzilopochtli. The Great Temple and the core of the city, was surrounded by a ceremonial centre. This area was a collection of massive structures specifically used for religious ceremonies by the Aztecs. These structures include temples, ball courts, priest houses and were surrounded by the houses of the very important Aztec nobles. Farther away from the centre of this area would be the markets and the houses of the lower class. 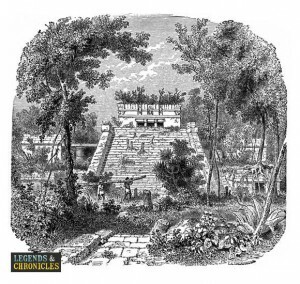 The gardens or Chinampas extend on to the lake where crops were grown, and on the west side of the precinct was their bathhouse, the tozpalatl. Chinampas are swampy rectangular patches of earth where food is being grown. Each chinampa was surrounded by canals which is the water formed in between them. Damns and complex systems of irrigation were built to sustain crops essential to the Aztec people. These patches of swamps farming blocks were around 2.5 metres wide and 30 metres long and traditionally separated by willow roots. 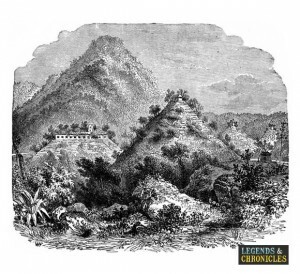 Chinampas were located on the outskirts of town and sometimes extend into the surrounding body of water where the irrigation for them would be sourced from. The Aztec people created some of the most impressive temples and pyramids the world has ever seen. These majestic and powerful structures were built stone by stone, by hand, and must have taken the Aztecs a long time to complete. Their motivation was obviously to get closer to the skies, where they could sacrifice to their gods from atop their mighty pieces of architecture. In all their architectural endeavours though, the Aztecs maintained a unique visual style in all of the buildings and constructions. From the ball courts to their homes and living areas, the Aztecs would adorn their buildings with artistic renderings and sculptures, give them a unique style that is truly unique to this civilisation.